Founder, Market Doctor, Dr Yetunde Ayo-Oyalowo; Senior Manager, MTN Foundation, Abasi-Ekong Udobang; Commissioner for Health, Rivers State, Prof. Princewill Chike; Commissioner for Commerce & Industry, Rivers State, Hon. Nancy Chidi-Nwankwo; Director, MTN Foundation, Hon. Reginald Chukwuemeka Okeya and Director, Market Doctor, Dr Taiwo Oshinusi at the flag off ceremony of MTN Market Doctor in Port Harcourt. But something interesting is happening. MTN Nigeria through its social investment vehicle is challenging the status quo by taking healthcare to the marketplace. The first benefiting markets in this new initiative are buyers and sellers in New Layout Market, Borokiri and Rumuwoji Market (Mile 1 Ultra-Modern Market) in Port Harcourt, Rivers State. Similar to what obtains in a proper medical facility, the MTN Market Doctor programme is structured into various departments including nursing station, doctor’s station, and pharmacy providing free blood pressure checkups and necessary drugs to all beneficiaries. Interestingly, buyers and sellers at the markets briefly suspended their primary assignments and trooped to the designated points to consult the doctors for medical examination and other medical services. The delight and satisfaction of the market men and women were evident in their expressions. “So I am standing on behalf of the traders in New Layout to tell MTN thank you,” she added. MTN Market Doctor is part of the MTN Foundation health initiatives aimed at improving access to healthcare in Nigeria, especially the underserved population. 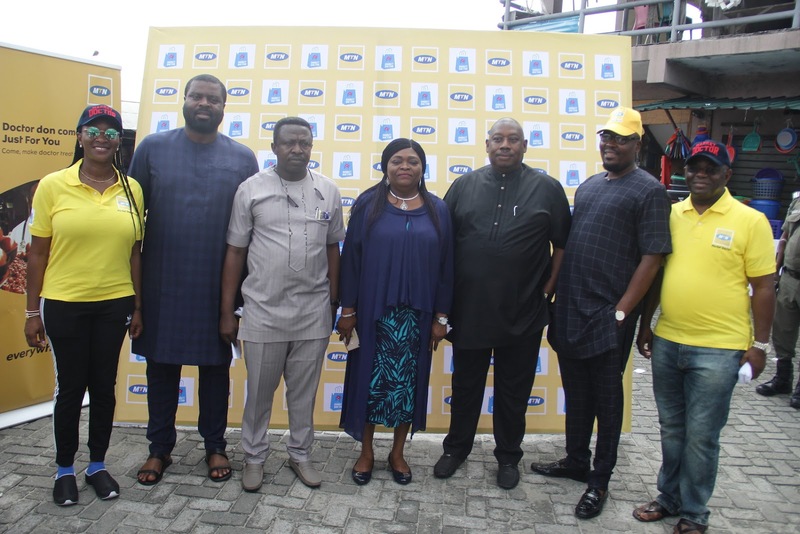 With a plan to reach many communities in Nigeria, MTN Market Doctor will also be visiting Oyigbo main market, Echi Eta market in Eleme, Ndoni main market next, providing medical care to the individuals in the market, just for you.